In a subsequent search of a public database, EMPOP http://www.empop.org webcite, containing data on 4,475 individuals, the 16184C→T mutation was found to be present in three individuals of West Eurasian origin, giving a frequency of 0.0007%. In a personal database comprising about 37,000 control region records (Dr M. Pala, personal communication), the HSV1 sequence with the single mutation 16184C→T was also present in three samples (one from Crete and two from Italy), giving a mutation frequency for 16184C→T of 0.00008%. All three samples belonged to the mtDNA haplogroup H.
On the left, the locks of Napoleon's hair. I am told that full mtDNA sequencing and Y-STR results are in the pipeline. 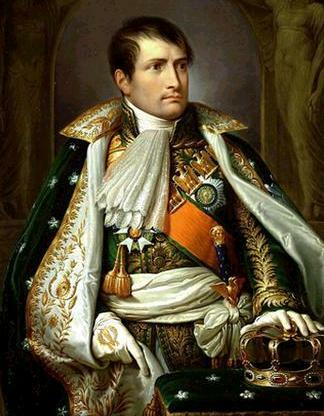 This paper describes the finding of a rare variant in the sequence of the hypervariable segment (HVS1) of mitochondrial (mtDNA) extracted from two preserved hairs, authenticated as belonging to the French Emperor Napoléon I (Napoléon Bonaparte). This rare variant is a mutation that changes the base C to T at position 16,184 (16184C→T), and it constitutes the only mutation found in this HVS1 sequence. This mutation is rare, because it was not found in a reference database (P less than 0.05). In a personal database (M. Pala) comprising 37,000 different sequences, the 16184C→T mutation was found in only three samples, thus in this database the mutation frequency was 0.00008%. 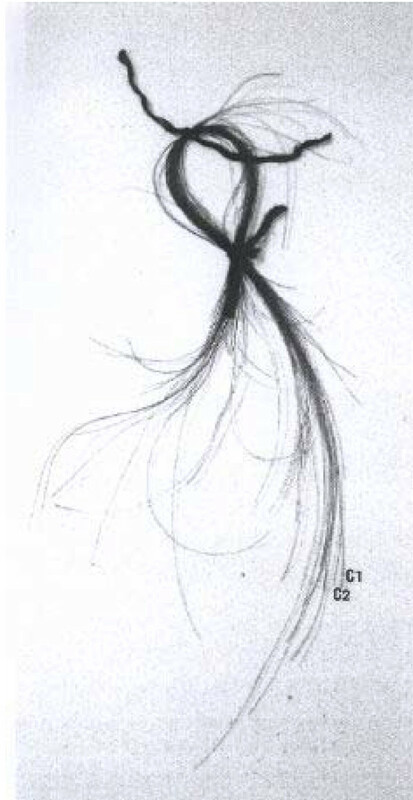 This mutation 16184C→T was also the only variant found subsequently in the HVS1 sequences of mtDNAs extracted from Napoléon's mother (Letizia) and from his youngest sister (Caroline), confirming that this mutation is maternally inherited. This 16184C→T variant could be used for genetic verification to authenticate any doubtful material and determine whether it should indeed be attributed to Napoléon. Buonaparte's family was originally from Tuscany, so i presume the two samples from Italy are tuscans. The masculine line was from Tuscany, but the mother, Letizia Ramolino, was from Liguria. Pity that 23AndMe don't seem to call that. Are you H (rCSR)? But what a pity for you if, beyond your wife, you is an Italian also from your maternal side. If you are on 23AndMe, I will happily share all 7 profiles I have, if you're interested?? My mother and I are mtDNA T1 - found in British, Palestinians, Turks and Syrians. My father is mtDNA H36 - found all over Europe. My daughter, who is 50% French/50% Irish - partly Corsican through her maternal grandfather, who as a young man was the spitting image of Napoleon - inherits her mtDNA H from her Champagne grandmother. My wife and her Sicilian maternal grandmother are H13 - found in Degastanis and Near Eastners. My wife's father inherits his Sicilian mother's mtDNA T2 - found in Northern Europeans, Spanish. Invite me and I'll be happy to share my data. I am pure Kurdish and I look exactly like Napoleon! Only taller! Much taller!